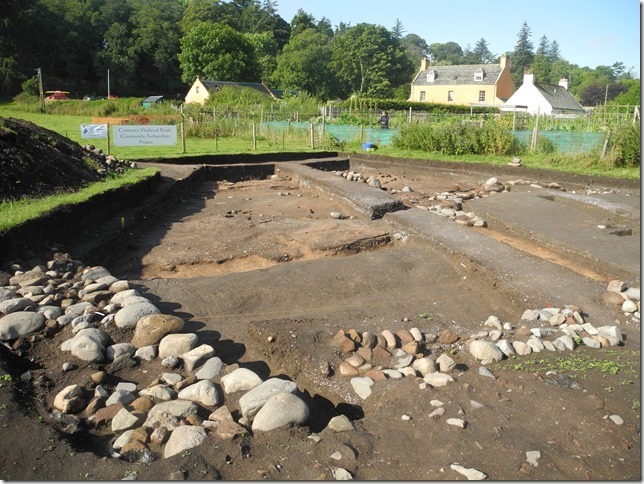 The 2013 dig had been great fun, so we offered our help for 2014. Bob was set to work, using a mattock, a draw hoe and a barrow, though not necessarily in that order. For me, the choice was a little harder: my back is troublesome, but I had been told to keep active, so I was asked to tidy up one of the uncovered 2013 trenches so that it could be photographed. Eventually Paul, the finds ‘cataloguer’, told me he didn’t want my offering of several fish bones, which was all I could find for the first few days. Michael joined me to uncover more of the trench, more tidying. Then things looked up: med pot appeared and half of a glazed, ceramic spindle whorl – I was on a roll. In the wall was what appeared to be part of a quern, then another (which wasn’t). I moved onto another trench to do some trowelling where I uncovered a whole quern stone. Meanwhile my original trench was in danger from Bob and Dave: their dug area had impinged on one longitudinal wall. Hours later there was no trench, just a vast uncovered area, out of which a total of 5 pieces of quern stone were removed, 3 of which fitted together. Why anyone would break such an object is a mystery, but several such broken, and at least one unbroken, were found incorporated into the walls of the buildings. Likewise, Bob, among others, found a broken iron pot with a large stone on top of it, under what appeared to be the entrance to one of the medieval houses. Why would anyone break an iron pot? I can see that you could bury broken pottery, to avoid having to explain how it came to be in such a state, but iron? I moved onto drawing a section and then helping Steve with context sheets. In addition, we all had to do some of the finds washing. On some days we were treated to talks/workshops from specialists: two on ceramics and one each on glass and bone. All were fascinating, especially as they were using ‘our’ finds as illustrations. I asked for the title of a simple guide to ceramics for beginners, to be told there wasn’t one; yet another gap in my knowledge that will be hard to fill. I gather that any guides there are refer to England and Wales only and are of no use in Scotland. In addition, every day saw cake being brought for members of the dig by others taking part. Extremely nice cake and much appreciated. 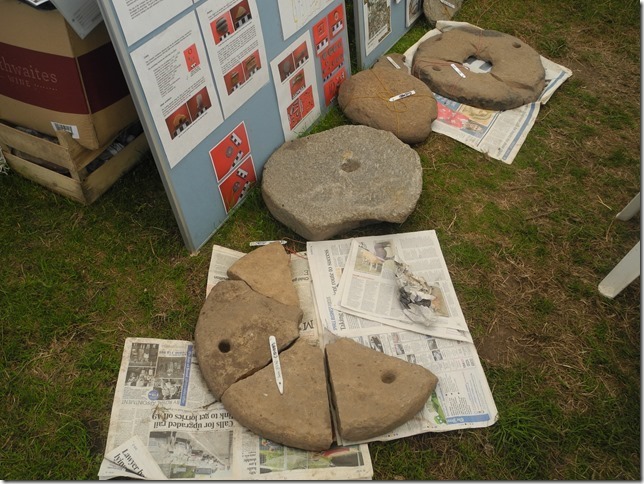 Such things sum up Cromarty 2014: it was a very friendly dig, enjoyed by all who took part, whether professional or volunteer and I think most, if not all, of us will be back next year. By the end of the dig we had uncovered a huge area. 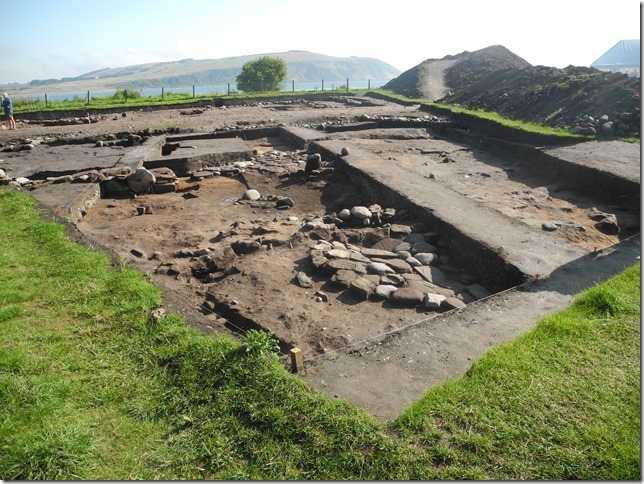 On the last afternoon we had a final site tour to see what had been uncovered. Finally, my thanks to Steve and Mary for being such good instructors and hosts, and for putting up with all my questions. 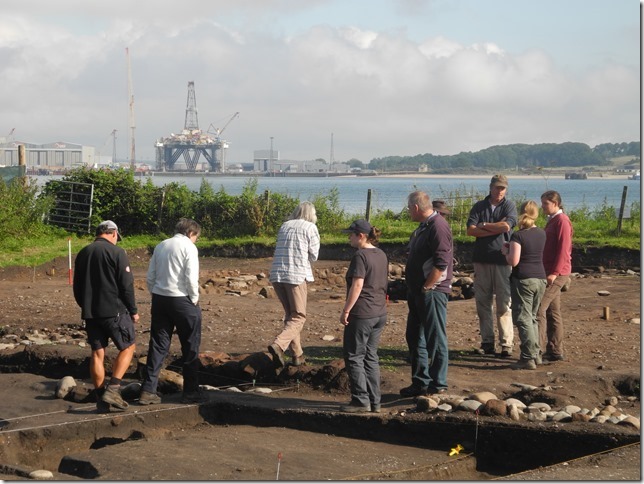 See also Mary Peteranna’s overview of the 2014 Cromarty season. This entry was posted in Black Isle, Excavations, Medieval, Post Medieval and tagged Archaeological dig, archaeology, archaeology Scotland, ceramics, context sheets, cromarty, Cromarty Medieval Burgh, iron pot, medieval archaeology, North of Scotland Archaeological Society, NOSAS, quern stone, Scottish archaeology, spindle whorl on September 11, 2014 by nosas.